Kala Culpepper is a “Mustang Making a Difference”! Kala works at Old Navy, where she recruited customers to sponsor backpacks for students. 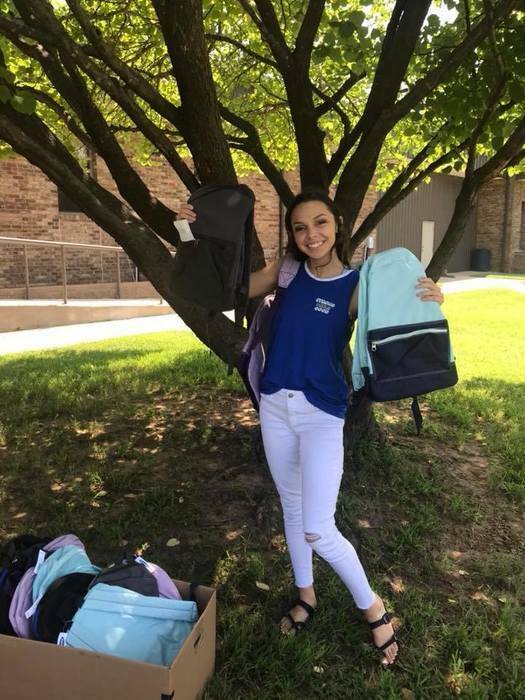 Kala did such an awesome job that Old Navy chose Kala’s home school to receive the backpacks. Way to go Kala!! !